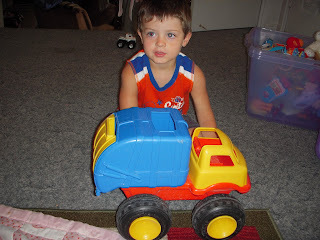 The Whatcott Family Stories: Hudson's favorite trucks! Hudson's loves the trucks at Grandma Gingers house. One she has had since Travis was a boy! 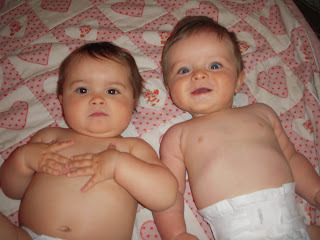 Hudson wanted to line them all up and take a picture of them so we did. 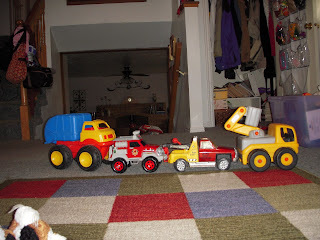 All the trucks lined up! Hudson with the garbage truck! 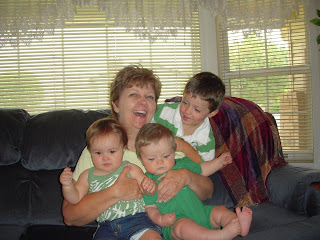 Hudson attacking Grandma while we were trying to get a few more pics!